As the smallest crossover in the Jaguar lineup, the E-PACE impresses with flair and function. If you need a luxe new way to get around Staten Island, Warren, or Westfield, it may be the perfect vehicle for you. 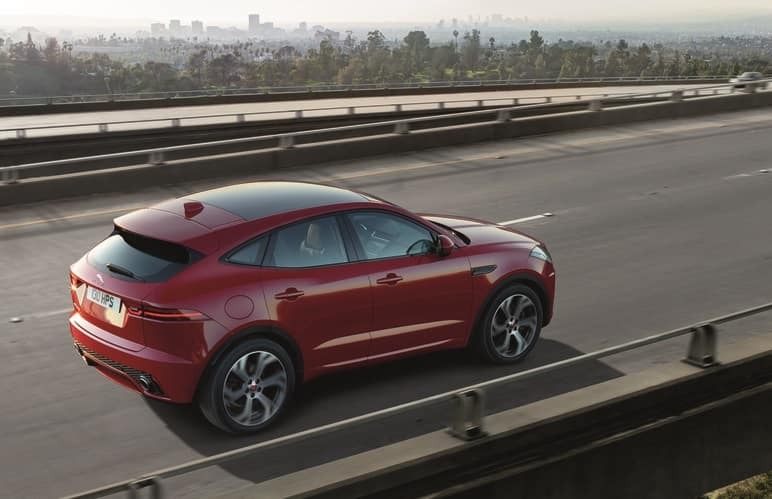 At Ray Catena Jaguar of Edison, we’ve gathered together this library of Jaguar E-PACE resources to help with your research. Explore the E-PACE from every angle and decide whether it has everything you need in your next vehicle! In a world constantly on the go, we recognized the need to offer a library that makes research even faster than our cars. Of course, quality remains just as important as ever. That’s why we’ve amassed a collection of detailed articles on the Jaguar E-PACE. All our articles are housed here on one page for your convenience. What’s more, they’re written with the everyday shopper in mind. Free from complicated automotive lingo, they focus on the features you care about most. Every feature we cover is described in detail, so you can see how they enhance your daily drive! All the categories you care about most are covered, from performance specs to cabin amenities. You can learn about in-car technology, safety, and even the sleek features that make up the E-PACE exterior. The more you learn about all these qualities, the better judge you’ll be when it comes time to choose. Try out your favorite features yourself by scheduling a test drive at our dealership! To begin your Jaguar E-PACE research, follow the links on this page to the articles that interest you most. Good luck with your research! If you have any questions as you move through the process, drop us a line at Ray Catena Jaguar of Edison. We’re happy to help Staten Island, Westfield, and Warren drivers learn all about our cars.